Want to know more about the exciting apprenticeship opportunities at Bentley Motors Ltd? 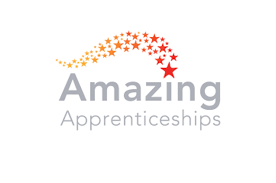 This live event will focus on the apprenticeship programme at Bentley Motors Ltd. The live broadcast will feature some apprentices and a recruiter who will share their stories and provide advice on the application process. You will also be invited to ask questions before and throughout the interactive broadcast. The live chat is open now next to the video player so feel free to leave us a question or comment and we’ll get it forwarded to the panel from Bentley Motors Ltd in advance of the broadcast. Bentley Motors is the definitive British car company, dedicated to developing and crafting the world’s most desirable cars, including the new Continental GT Convertible. Featuring the sleek, new Bentley design language, the new Continental GT Convertible epitomises the spirit of grand touring. In 1919, a simple aluminium paperweight inspired a pioneering British engineer. In 2019 Bentley Motors will be recruiting over 40 Apprentices to join areas of the business such as Aftersales, Engineering, Production, Logistics, Sales, Manufacturing, Digital, Quality and Purchase, at Advanced, Higher and Degree levels. The application window is due to open to coincide with the Apprenticeships Live broadcast and more details about other events to find out more about our vacancies can be found at the links below. 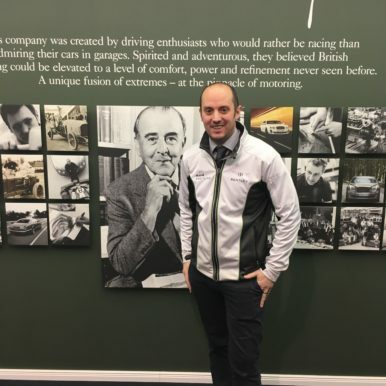 Tom joined Bentley in 2015 as the Senior Development Officer in charge of Future Talent Programmes. He has a background in training, having spent 13 years as an Army Officer and studying a PGCE and Masters in Education. 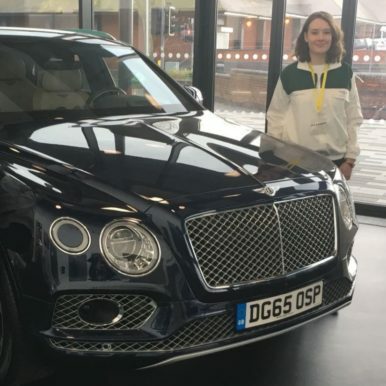 I have been at Bentley Motors for just over a year and am in my second year of my apprenticeship, in which I am working in whole vehicle engineering whilst studying towards a degree in electrical and electronic engineering. When I started, I moved up from Redditch, Worcestershire where I studied a BTEC Level 3 extended diploma in electrical/ electronic engineering. My job day to day is full of variety as we carry out prototype builds and look after engineering fleet cars so you are always kept interested with new jobs to complete. 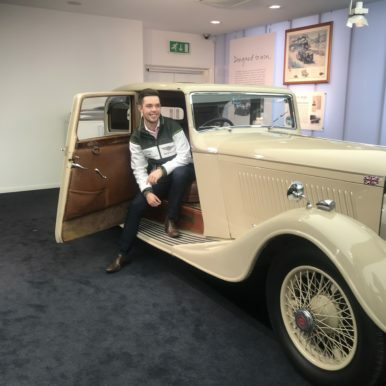 After initially completing an internship at Bentley, Ash joined the business as our HR Graduate in October 2018. He studied Business and Human Resource Management at Sheffield Hallam University for 4 years. 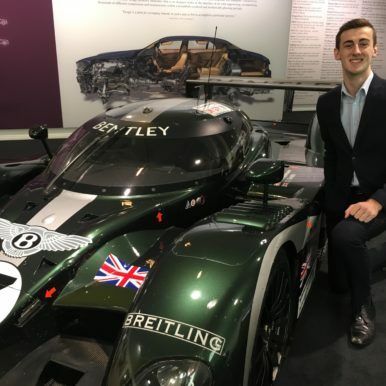 Matt joined Bentley Motors in 2017 as Digital and Technology Solutions Professional Degree Apprentice. He studies at MMU in Manchester one day a week and spends the rest of his time working on real projects for the company. He completed A levels in IT, Biology and History and relocated from Norfolk to Crewe to join the Company.